River Escapes offers unique tours as they are both from a scientific and conservation background. Extensive knowledge of freshwater ecosystems and a member of the Professional Fishing Guides and Instructors Association. River Escapes offers fly fishing lessons for all levels of experience, guided fly fishing for trout, guided fly and lure fishing for Murray Cod and Golden Perch. From fly fishing beautiful high country streams, drifting a larger river for trout or Murray cod, or fishing larger waterways from a larger boat. River Escapes has the knowledge and know how to help you get the most out of your time on the water. For those not after a fishing trip, scenic cruises of local waterways are also available from the boat. For further information please contact River Escapes. The Alpine lakes are some of the most scenic locations you can encounter in the High Country region. Surrounded by snow in winter, they are fantastic fisheries after it melts for the warmer months. Rising fish are common, most often to midges and terrestrial insects. They are also great places to learn loch-style wet and dry fly techniques. You can also combine stream and lake fishing over the course of the same day for those seeking some variety. The Mitta Mitta River tailrace begins below the Dartmouth regulating pondage. Due to the depth of Lake Dartmouth, it supplies very cold and clear water into the river, making it ideal for trout. The Mitta Mitta River is characterised by fantastic long riffle sections, often with large pools in between, set against a backdrop of valley farms and picturesque mountains. 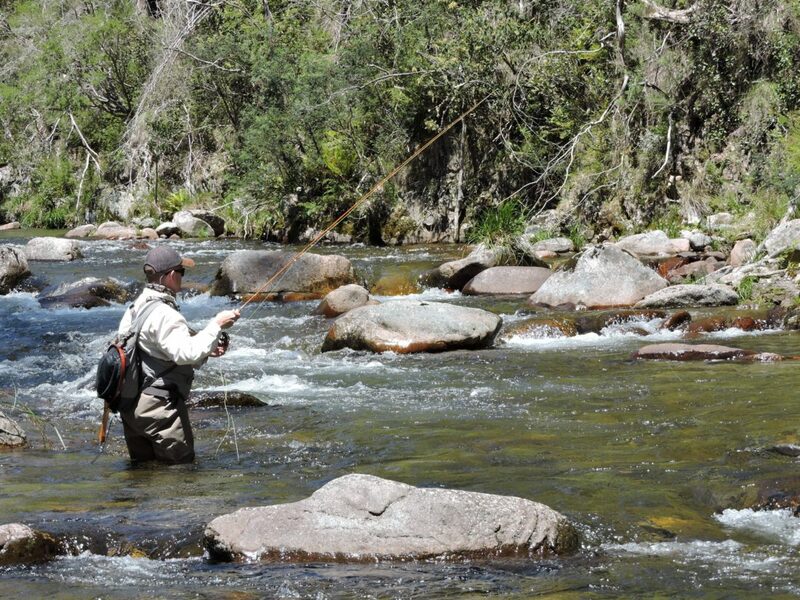 The raft opens up many kilometres of river and is truly a great way to fish the Mitta. Large gravel bars can be explored on foot by exiting the raft. Depending on the season and flow conditions, you can be rafting the Mitta as early as trout season opening. Reliable hatches usually begin by early October and large terrestrials like grasshoppers and cicadas begin to make an appearance as summer rolls around. The elusive platypus is regularly encountered, providing a welcome distraction for both fisherman or even a non-fishing partner. If you have ever wanted to learn to fly fish, River Escapes can provide a fly fishing tuition tailored to your specific requirements. Fly Fishing for Beginners is at the rate of either one to one or one to two, and can either be half day, full day or weekend-long. Larger group sizes are possible with prior arrangement. Their beginner workshops are another popular learning option. The tour includes gear use and set up, casting and line management, entomology and fly choice, fish behaviour and fishing in different waters, such as lakes and rivers. A typical lesson involves theory stream side, and your newly learned skills will be taken on the water for the last half of the session. Half day includes drinks and snacks while a full day also includes lunch. Pick-up and return from your accommodation is also included. What to bring: All gear is provided, but please bring a hat, sunglasses and appropriate clothing for the day. If you have your own equipment, you are welcome to use it. 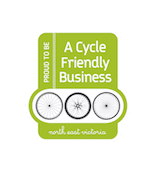 Optional extras: Hand-made flies for the local and surrounding regions and the option to order the same equipment you used during the day (pricing upon request). North East Victoria has some of Australia’s best native fisheries, especially for the iconic Murray cod. Join River Escapes in their vessels that open up large sections of river or lake to the angler, much of it inaccessible on foot. Your guide will concentrate on targeting fish holding structure, holding the boat or raft in position while anglers focus on landing their fly or lure in the correct spot. While you are moving quietly down the river, your guide can also point out wildlife as you are taking in the beautiful scenery. The fishing season for Murray cod is open from 1 December till the 31 August. If you are keen to chase other native fish such as golden perch, especially during the peak months of spring, River Escapes can also arrange trips on local lakes. River Escapes has the local knowledge and know-how to help you experience and fully appreciate the fantastic trout streams the region has to offer. All levels of experience are catered for, or if there is a new technique you would like to learn we can show you how. Their guided fly fishing is available for one to two people. By matching locations to your level of ability they can make sure you get the most out of your day. Full day trips can include accessing more remote locations by 4WD if desired. Their guided fly fishing is typically available for one to two people, larger group sizes are possible by arrangement. Located just over the NSW-Victorian border the Swampy Plain tailrace begins below Khancoban pondage, delivering with it water from the Snowy Scheme into the Murray system. It is a magic river to drift and fish, with almost endless gravel bars in sections. Like any tailrace river it has its own intricacies that a highly experienced guide can help you understand and appreciate. Typically productively covered by searching with a dry and nymph combination or indicator nymphing the runs and drop offs. By having the raft at your disposal, you can have you presenting your flies into the most likely water. It can deliver terrific hatch based fishing, especially to caddis and mayflies. Kosciusko Dun hatches are also a feature of this river, with spring and autumn being the prime times to encounter this hatch. The heat of summer offers fantastic opportunities for hopper feeders and the opportunity to fish large dry flies along likely banks.